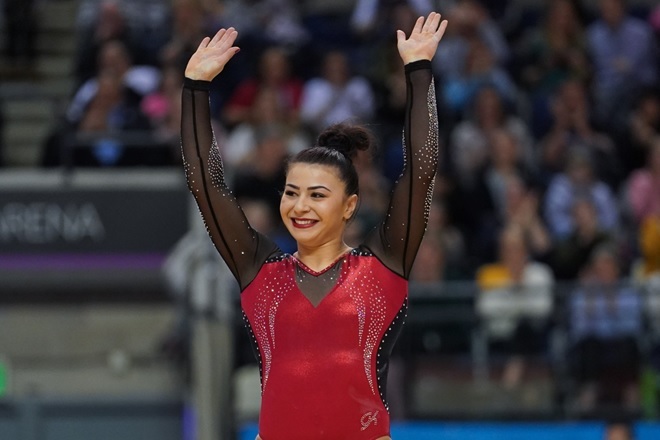 Claudia Fragapane will compete for Great Britain at the forthcoming European Championship in Szczecin, Poland replacing Kelly Simm who withdraws due to injury. Kelly suffered a fractured metatarsal on Saturday at the British Championships. She will now undergo rehab with the medical team with the aim to be back in full training later this year. Kelly will be replaced in the line-up by Claudia Fragapane who returns to major championship action for the first time since the 2017 World Championships; alongside Ellie Downie, Amelie Morgan and Alice Kinsella who will also compete the women’s team. Claudia competed at the British Championships last week placing 38th without competing in Vault. She qualified through to bars and floor finals finishing 4th on bars with a score of 13.000 and narrowly missing out on the gold on Floor. Claudia scored a fantastic 14.200 for floor (Exactly the same as Ellie), but had to settle for 2nd due to Ellie’s execution score being higher.